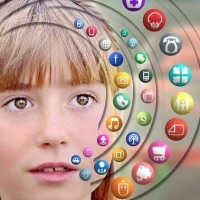 Help your child find the right apps! Winter is coming and outside play will become less and less possible as the cold winds and even snow start to blow. But that doesn’t mean your small children can’t be entertained and stimulated. Thanks to the mass quantities of technology that now consumes our lives on a daily basis, it’s no surprise that it’s even becoming a part of everyday life for even toddlers. Educational developers and computer experts are constantly working together to develop literally thousands of games and apps specifically geared toward small children and toddlers in order to keep them stimulated, help with better hand-eye coordination and well-developed fine motor skills. 2. PianoBall allows your child to explore their musical side by using this app to create their own musical scores. The colorful keyboard attracts your child and keeps their attention as they explore the five different modes that allow the music to be heard the way it would sound with different instruments. 3. Potty Time with Elmo approaches potty training in a whole new way. The wildly popular Sesame Street character will help your toddler with the transition from diapers to using the “big kid potty” by using songs, puzzles and even animated stickers. 4. Drawing Pad is another app that helps your child explore and release their inner creativity. With this app they can use realistic crayons, markers and even paint brushes to create a virtually unlimited portfolio of projects. Again, this is but a small sampling of the apps available to entertain and educate your child. This winter, replace the toy box full of unused or broken toys with apps like this and let your child explore a whole new world. With this being said it is our opinion that the best way for a child to learn to be a kid is through hands-on interactions! Check out our Pinterest board for more ideas about what you can do inside!